Hello everyone! 2015 is coming to an end and we managed to squeeze in our last AGF Stitched with Kimberly quilt pattern of the year called Locket. 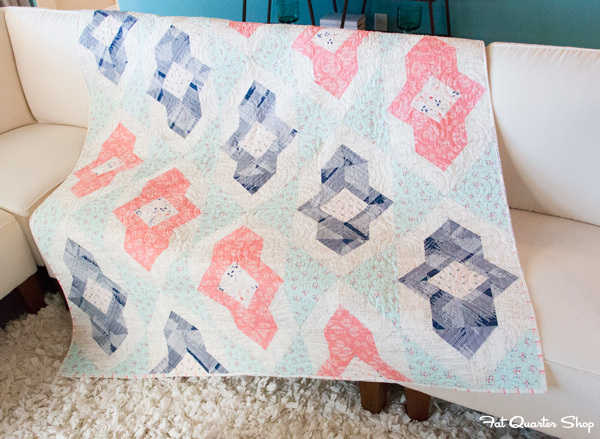 The Locket quilt features the Paperie collection by Amy Sinibaldi. 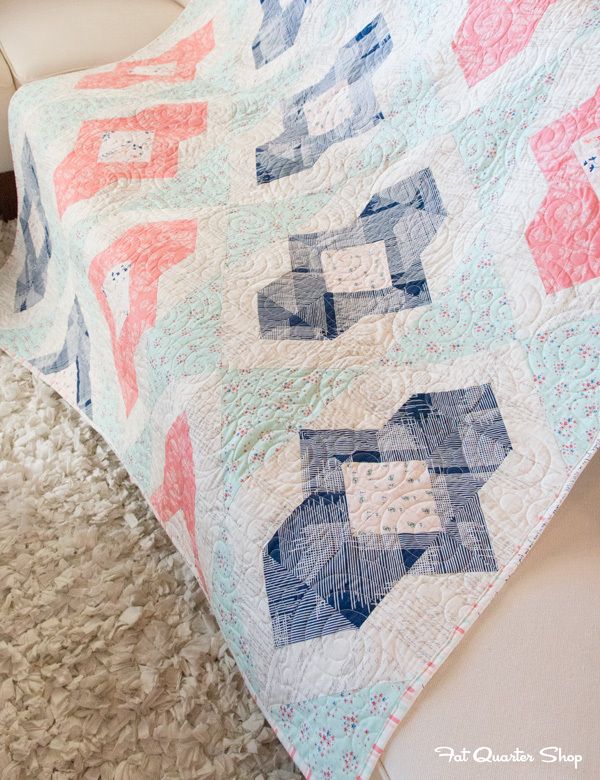 We love that the light feminine colors of this collection adds softness the geometric quilt pattern. Ready to sew your Locket quilt? 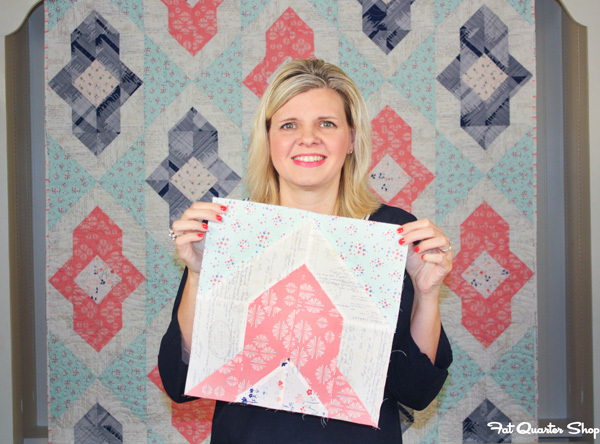 Download our FREE Locket Quilt Pattern and watch Kimberly's video tutorial on how to piece your blocks. If you love our version of Locket, we have quilt kits and backing sets available at our shop as well! And we've also invited a few of our favorite bloggers to sew their own versions of the Locket quilt using beautiful Art Gallery Fabrics. So hop on over to their love and leave some give them some quilty love! SURPRISE! One lucky FQS fan will win an Art Gallery Fat Quarter Bundle of their choice. For a chance to win, all you need to do is enter through our Rafflecopter below! Don't forget to share you #AGFStitched creations with us on Facebook, Twitter, or Instagram! Thank you so much everyone and happy quilting.